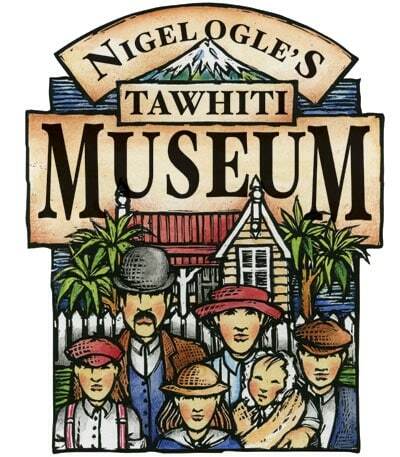 The Tawhiti Museum is a truly unique heritage enterprise. The creation of artist Nigel Ogle, its attention to detail is simply stunning. Now widely acclaimed as the best private museum in the country, the museum uses life-size exhibits and scale models to capture the past in a series of super realistic displays. All these displays - including the life-size figures created from moulds cast from real people - are designed and built on the premises. In fact the 'Body Shop', a series of three studios viewed as part of a museum visit, is Nigel's workshop where both the scale model 'dioramas' and all the life-size figures are built. The museum building itself is historic - an ex-cheese factory, built in 1917 - ideal for housing the large collection of local artefacts brought to life and given a social context with the models and figures..